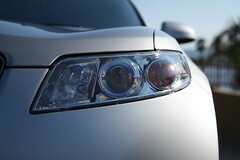 Home/Uncategorized/When is the Best Time to Replace Headlights? Are Old Headlights Still Safe? 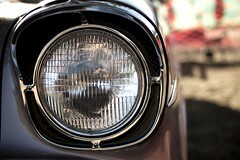 It’s a recognized reality that headlights wear with age and with use, much like tires, shocks, as well as brakes. As the light bulbs age, they begin to get dimmer, emitting much less light when driving. This could develop into severe security concerns in the evening for all vehicle drivers. Despite the statistics that reflect there is 5 times more traffic throughout the day, data reveals that about 65 percent of mishaps happen during the night or in bad light situations. The key factor is typically associateded with bad motorist vision triggered by decreased light, which during the night could be as much as 70 percent. Since the human eye is not adapted for nighttime vision, contrasts disappear, colors become muted, and also motorists are frequently blinded by the approaching light from oncoming cars. Fundamentally, nighttime drivers could experience the sensation of shortsightedness and also could additionally lose their depth perception. The filament in headlight bulb ages with usage, time, and also direct exposure to weather. It subsequently weakens, causing dimished light output. Near the end of their life span they’ll cast a significantly shorter beam. That situation can result in severe safety concerns. With older drivers, the level of concern is even higher, as the level of light required to see well increases exponentially. As our overall population continues to age, the safety concerns rise as well. Older drivers require twice as much light to see safely. The simplest solution is to always ensure your headlight bulbs are working their best. Changing them every couple of years is highly recommended, as is changing them both at the same time to ensure even lighting. Are There Different Headlight Bulbs? You could change your old light bulbs with new standard issue bulbs or you could update to more recent modern technology and have much better light result from your headlights. Better lights will certainly enhance your vision in the evening, as well as subsequently raise your level of safety and also self-confidence as a driver. Whenever feasible, you must take into consideration updated headlight bulbs over basic light bulbs due to the fact that they have been developed to do a far better job of illuminating the roadway. This isn’t just a good idea for older drivers, but is recommended for all drivers in general to improve performance overall. AAA auto club conducted a study reflecting that 80% of halogen bulbs aren’t illuminating suffiently, even when traveling at 40 mph. A difference can be made by changing them out for updated halogen bulbs, allowing for better vision. If you notice your headlights don’t seem to be doing the job, then it’s time for replacements! You’ll find that, for the most part, bulbs are relatively inexpensive and easy to install. Do yourself a favor and change out your headlight bulbs every few years. By site.dev2|2018-04-19T17:47:31+00:00April 19th, 2018|Uncategorized|Comments Off on When is the Best Time to Replace Headlights?